Olives are one of the oldest foods known originated in Greece. Their popularity quickly spread throughout Egypt and Palestine. Olive trees provided ancient civilizations with food, fuel, wood and medicine. Olives have been regarded as a symbol of peace and wisdom. Today, most of the olives are cultivated in Spain, Italy, Greece and Turkey. 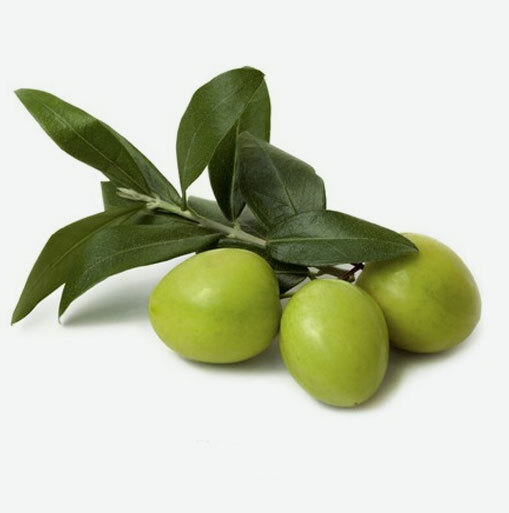 Olives are fruits of the tree known as the “Olea europaea”. Olea comes from the Latin word meaning “oil”. Olives cannot be eaten right off of the tree. They need special processing to remove or reduce their bitterness. Processing methods vary with the region where olives are cultivated, their texture, size and colour. Some olives are purposely picked green and unripe and others harvested when they are fully ripened or have turned black in colour. Some methods of processing olives expose the unripe green olives to air and this oxidation process turns the olives a dark colour. Colour of olives is also affected by how they are cured. Some methods of curing are by using oil, water, brine or salt. Some of the many varieties of mouthwatering olives include Kalamata, Nicoise, Picholine, Manzanilla, Lugano, Gaeta and Moroccan oil-cured. Olives help to prevent colon cancer by neutralizing free radicals in the body. Olives are high in Vitamin E and monounsaturated fats which are the two important ingredients that help to prevent some cancers. The Vitamin E and polyphenols in olives may also help in reducing the severity of osteoarthritis and can also help reduce the frequency or severity of hot flashes in women experiencing menopause. Olives are usually sold in jars and cans. Many stores offer them in bulk in large barrels or containers. Buying olives in bulk will give you the opportunity to try out the many different kinds of olives available and you can buy as little or as much as you want. Olives will keep freshest if stored in an airtight container in the refrigerator and in its own brine. Look for olives that are plump, without any bruises or dark spots. Soft, mushy ones should be discarded. To pit olives, press them with the flat side of a broad bladed knife. This will break the flesh open so that you can easily remove the pit with your knife or fingers. The brine in which the olives are packed can be used as a replacement for salted water in recipes. Olive tapenade is a delicious and easy-to-make spread that you can use as a dip, sandwich spread or topping for certain fish or meats. Simply place about 1 cup of pitted olives in a food processor with 2 tablespoons of extra virgin olive oil. Add some sautéed chopped onion and some of your favourite seasonings such as oregano, Italian flat leaf parsley, chives or garlic. Puree in food processor and process to desired consistency. It can be coarse or smooth. Other ways of preparing olives include tossing pasta with chopped olives, tomatoes, fresh chives and extra virgin olive oil. Add chopped olives to your tuna or chicken salad. Keep olives handy for a snack or an appetizer with some cheese.